Bill Roddy’s musings surely will resonate with many men. 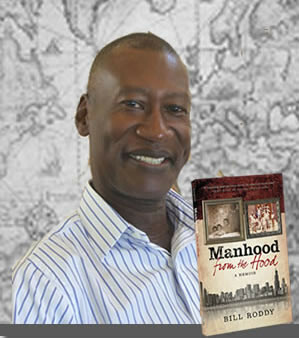 Deeply felt and honestly written, Manhood From The Hood shares a poignant story of one boy’s journey to manhood, and of the grandfather who, along the way, never let him forget he was loved, his family, and his responsibility to his community. A Class Set of 10 books of Manhood from the Hood at a reduced price.